I shine most when the clouds are heavy and the water is just about to burst. So I decided to show a little cloudy day love because the ColourPop Super Shock Shadow in Sugar (Review here.) reminded me of rain soaked clouds and like I said in my review an icy mermaid. 1) After mixing the Nivia After Shave Balm and the Becca Backlight Primer and applying all over my face, I buffed in the Skin Foundation, once the primer felt tacky. 2) I corrected and concealed my very dark circles and set them with the MUFE HD Microfinishing Powder on a damp beauty blender. 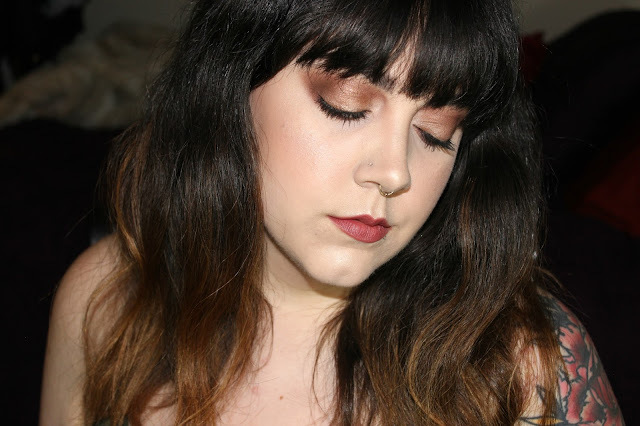 3) Next I set the rest of my face with the Charlotte Tilbury Powder. 4) I then contoured my cheeks, around the perimeter of my face and jaw line. 5) Then filled in my eyebrows (of course) and set them with brow gel. 6) I was a bad blogger and didn't take pictures of these next couple steps, but they're super easy. I primed my eye lids and then ran Laced through the crease on a fluffy brush. 7) Next, using my fingers I tapped Sugar onto the mobile lid space. 8) Then with a fluffy blending brush I blended that out through the crease with Laced. 9) I then blended Laced into my lash line with a pencil brush. 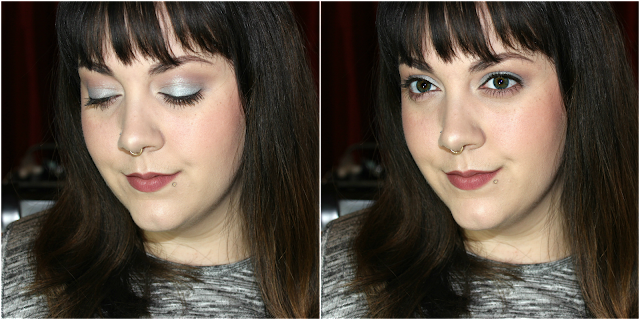 10) Then I used Moonstone from the Becca palette to highlight the brow bone and inner corners of my eye. 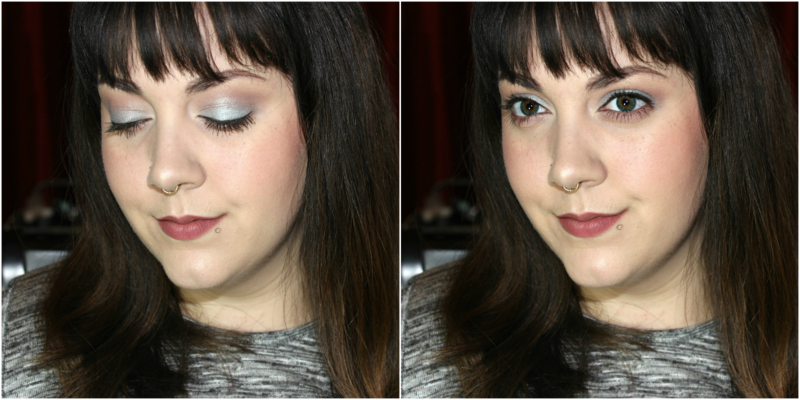 11) Then I used Moonstone to highlight all the high points of my face. 12) Next, I took a sharp, angled liner brush and put the Aqua Black into my lash line, as close as possible. 14) I then used the Flower Child, from the Becca palette, and applied that to the tops of my cheek bones and about to wear my pupil would be if I was looking straight on. 15) After applying mascara, I put on Bond Girl and tapped that in with my fingers to soften it and make it look more natural. That is the finished look! This is a super quick look and I felt very natural and pretty. I really enjoyed doing this look. I hope you enjoyed seeing it. Is there a kind of look you want to see me do? Tell me in the comments. I want to hear from you. Whether it's a celeb look or a weird lip color look, tell me.